It's amazing how just one sound, one sight or one smell can take you back to a certain time and place. 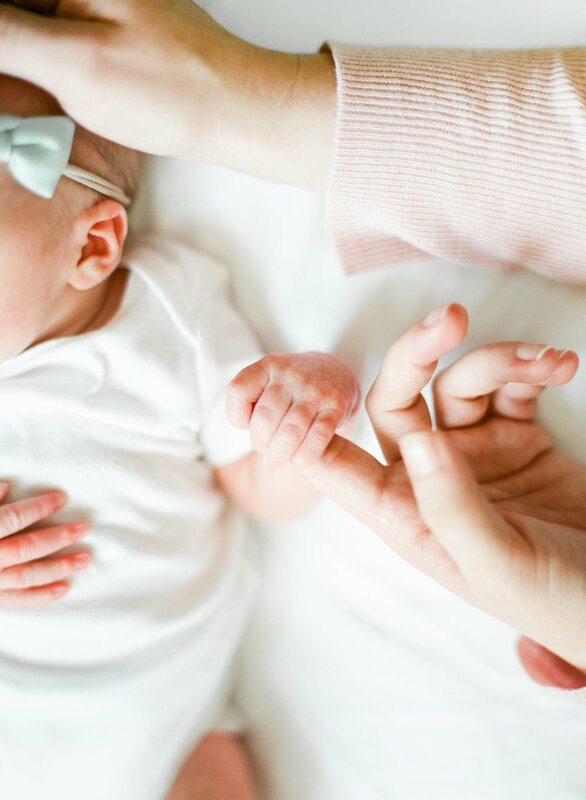 Every single time I walk into a home with a sweet newborn baby, the emotions come rushing back and I remember all those teeny-tiny details about my sweet babies. My babies keep growing and growing, but I remember these moments like they were yesterday. I'm pretty sure I wasn't as cool, calm and collected as I am during my newborn sessions, but that makes it even that much sweeter. I get to relive my days while showing others just how precious their life truly is. My ultimate goal at every single newborn session is to capture those details and memories that fade so very quickly with time. It's to preserve the here and now and document all the bits and pieces, no matter how small or how trivial at that moment. The snuggles, the curly toes, the flaky skin....it's the in-between moments that count the most. Sweet baby Anna was as darling as she looks and it was a dream to capture her and her parents during these first few magical days together. This new life is amazingly precious and words just don't do it justice. You have to BE there to see it, feel it, experience it. If you're a mama, either with tiny babies or big grown babies, you know exactly what I'm talking about, right?? The coos, the noises, the smells and even those sweet baby cries are what these sessions are all about. I am forever grateful to all my clients who invite me into their home to document this time together. Here's a little peek at sweet baby Anna. Are you expecting soon and looking to record these first few moments together as a new family! 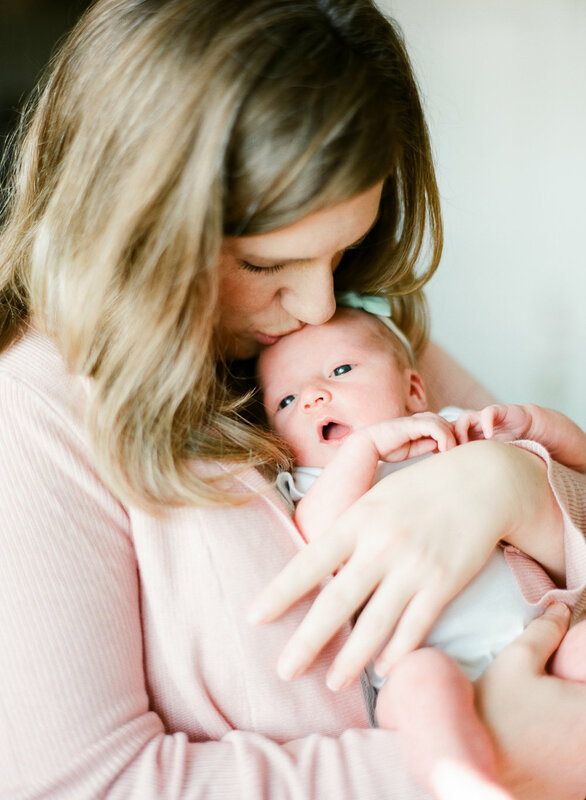 I'm currently booking lifestyle newborn sessions through June 2018! I'd love to chat with ya about how very important it is to have this time preserved! Email me and I'll send ya more info lickety-split!